In family court, child time-sharing proceedings are stressful while the process itself can seem complicated and confusing to the parents involved. On top of all that is at stake in these types of cases and the complex, often contentious relationship that may exist between their parents, there are often words and expressions tossed around that you are likely unfamiliar with. The following outlines some of the common terms and catchphrases used by the family court, which will likely be a factor when making arrangements for your child. Co-Parenting: This describes when parents work together in making child time sharing arrangements work. It involves practical matters, such as having both involved in the child’s education and their social or recreational activities, and requires each to make the attempt to communicate regularly and cooperate with the other parent involved. Primary Caregiver: This refers to the parent with which the child will spend the majority of their time with. In some cases, rather than a primary caregiver, each parent plays an equal role. Parenting Plan: In making child time sharing arrangements, a Florida parenting plan will be submitted by the parties involved. This will determine the amount of time the child spends with each party during the week and on weekends, along with over holidays, school breaks, or other special occasions. The Best Interests Of The Child: In approving any parenting plans that are submitted in the case, the judge will want to ensure the child’s best interests are served. This means making sure time sharing arrangements take the child’s specific physical, emotional, and developmental needs into consideration. It also involves protecting them against situations, such as those involving abuse or drug and alcohol addiction, that could put them in harm’s way. 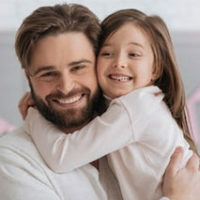 Parental Responsibility In Decision Making: In addition to the actual amount of time each parent has with the child, the court will determine the amount of responsibility each parent has in making decisions on the child’s behalf. This includes decisions such as those regarding their education, their medical care, and their religious upbringing. At the law firm of attorney Vanessa L. Prieto, you can trust us to act as a strong ally on your side, to ensure any court orders issued in your case protect your child and your rights as a parent. Contact our Fort Lauderdale child time-sharing attorney today and request a consultation to see how we can assist you.